In Sea Girt and elsewhere in New Jersey, those who suffer injuries caused by the negligent, reckless, or wrongful (i.e., intentional) conduct of another person or entity are entitled to recover damages as compensation. NJ personal injury claims are quite diverse — in fact, both a motor vehicle accident claim and an injury claim involving a defective appliance fall under the personal injury practice area. Although circumstances may differ somewhat, you generally must prove that the defendant not only acted negligently or wrongfully, but that their actions caused you to suffer the injuries at issue. Litigation in Sea Girt personal injury matters rarely proceeds as expected. In some cases, for example, the defendant may be difficult to communicate with and may undermine your efforts to investigate the evidence and negotiate a possible settlement. 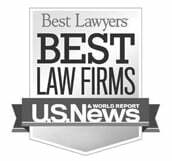 If you are serious about maximizing your chances of success in securing full and adequate compensation for your Sea Girt accident-related injuries, it is important to work with a team of personal injury lawyers who have decades of experience representing plaintiffs in a range of scenarios and who are therefore well equipped for the unexpected. Call now to speak to a Sea Girt personal injury lawyer at Blume Forte today. Oftentimes, laypeople in Sea Girt and other parts of NJ have a limited understanding of what might constitute a personal injury claim. They might (incorrectly) believe that personal injury claims only involve catastrophic physical damages, or that the rules for various categories of personal injury are fundamentally different from one another. Of course, the truth is quite different. As a general rule, personal injury claims are diverse, but they tend to follow certain shared and fundamental principles. Here at Blume Forte in Sea Girt, New Jersey, we take great pride in being able to provide high-quality, client-oriented legal representation that gets results. We work closely with clients throughout the litigation process to ensure that they are well informed about developments in their case and so that we can keep our goals and expectations aligned at every phase. This approach has led to a number of successes over the years. We have secured substantial verdicts and settlements on behalf of our clients, including multimillion dollar recoveries. 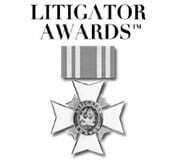 We have also been recognized by various legal publications as leaders in our respective practice areas. If you have sustained injuries in a Sea Girt accident — a motor vehicle accident, premises liability accident, construction accident, work-related accident, product-related accident, etc. — then you may be entitled to compensation under New Jersey law. Successfully litigating a personal injury claim requires effective and experienced representation. Call now or submit an online case evaluation form to get connected to an experienced Sea Girt personal injury lawyer here at Blume Forte. Consultation is free and confidential. During the consultation, we will evaluate your claims and determine the ideal strategy for ensuring maximum recovery in your Sea Girt personal injury case. Sea Girt is a small borough located in Monmouth County, NJ, with a population of 1,828 residents. Interestingly, despite the fact that Sea Girt is a sparsely populated borough, it is among the most expensive places to live in the entire country (measured by the median price of real estate property). Sea Girt is a coastal borough, with a famous lighthouse (one of the only remaining lighthouses in the state of New Jersey). Although Sea Girt is not heavily populated, it is connected by train service, bus service, and boat service to several other major cities, including Hoboken, Newark, Philadelphia, and New York. Here at Blume Forte, our Sea Girt office is among the four offices we operate in the state of New Jersey. You can find us at 2150 Highway 35, Suite 250 (Brook 35 Plaza) in Sea Girt, NJ. You can call or email directly to our Sea Girt office to discuss your case with one of our personal injury attorneys. We look forward to hearing from you.